And I saved the best manicure of the year for last! I didn’t really mean to & honestly when I started doing this manicure at 10:15pm on Friday night I really had no ideas in my head other than that I wanted to use red & green polish! Then this amazing creation happened!! I’m obsessed…& you should be too because it’s SOOO easy to recreate!! 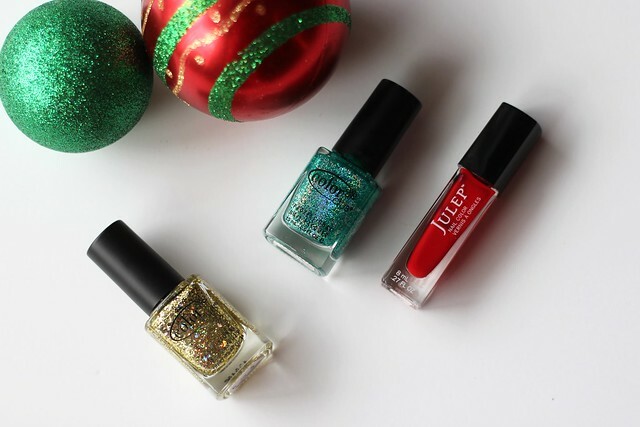 Paint your nails a festive red shade & let them dry. 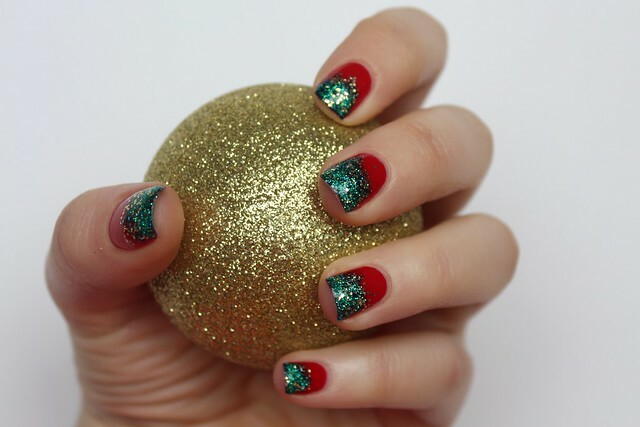 Paint the tips of your nails (it doesn’t have to be perfect) with glitter green polish. 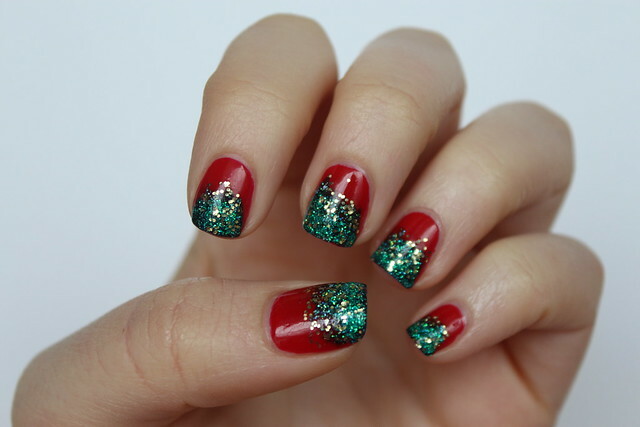 Take a makeup sponge and paint a little bit of green polish on the corner and stamp it on the tip of each nail. This will make it so the green disappears into the red instead of there being a line. 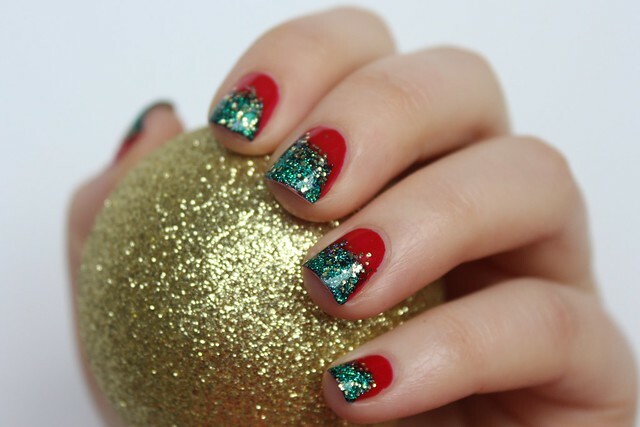 Paint over green glitter with gold glitter polish to make transition between 2 colors smoother! Planning to recreate this for Christmas? Send me a pic!! 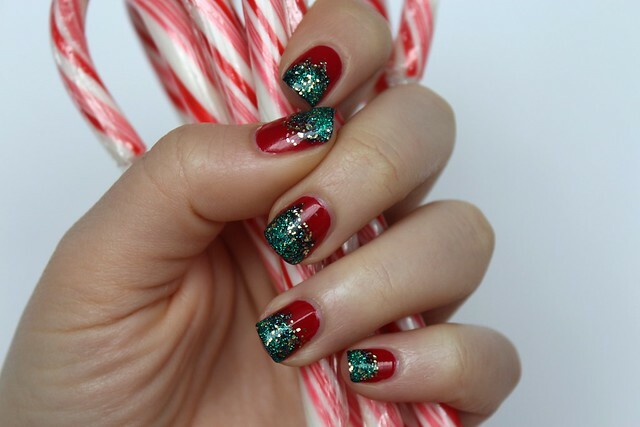 Don’t miss my Snowman Mani with Q-tips from earlier this month!